Stamp with Melva: Do you send Valentine's Cards? I've had fun making them! 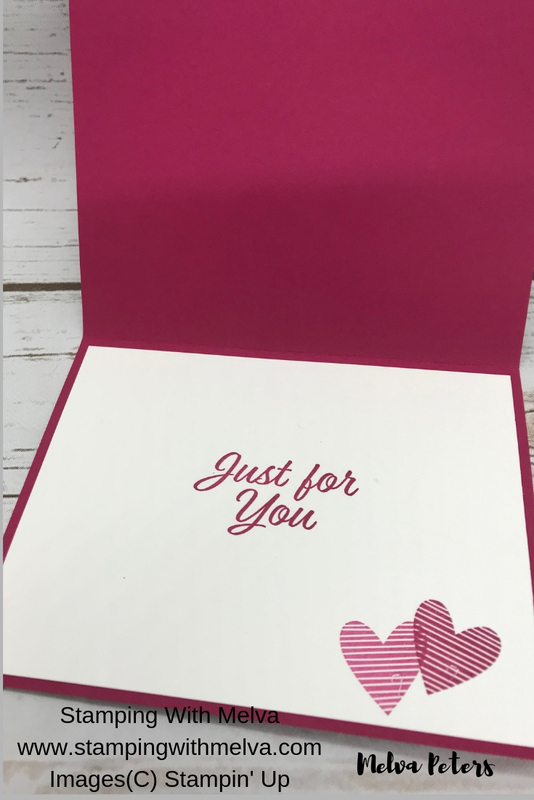 Do you send Valentine's Cards? I've had fun making them! It's been fun playing with the Meant to Be Bundle and making Valentine's Day cards! 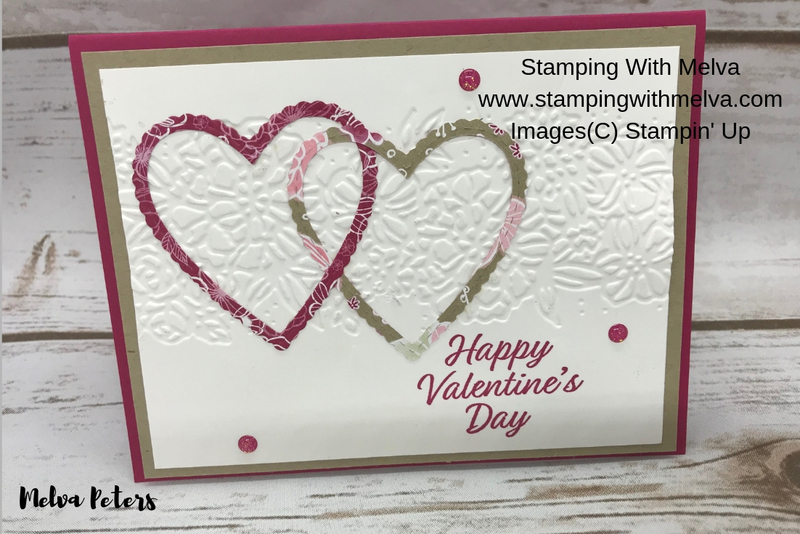 Check out my latest card that uses the Petal Pair embossing folder along with the Meant to Be bundle. Score Lovely Lipstick card stock (5 1/2" x 8 1/2") in half to make card base. Emboss a piece of Whisper White card stock (3 3/4" x 5") using the Petal Pair embossing folder. Cut out 2 hearts from All My Love Designer Series Paper using Be Mine Stitched Hearts framelits. Stamp sentiment on bottom of Whisper White card stock using Lovely Lipstick ink. Cut an opening in one heart and slip one inside the other. 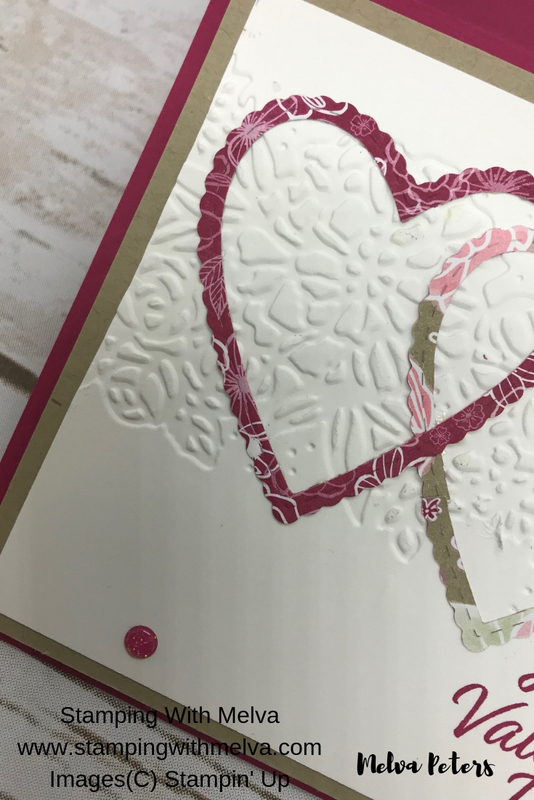 Adhere to the Whisper White embossed piece using Snail. 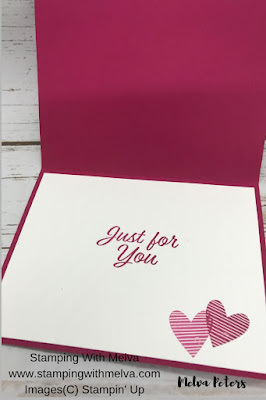 Stamp sentiment for inside of the cards using Lovely Lipstick ink.